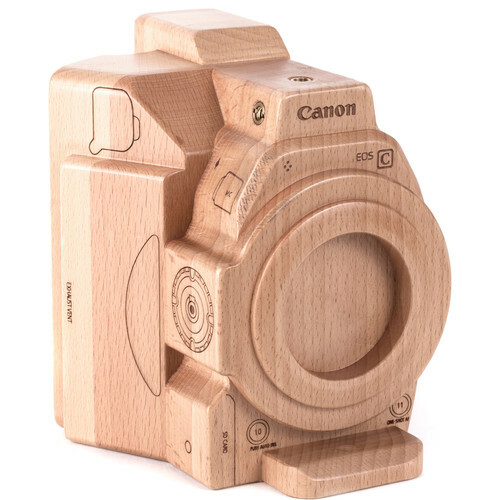 The Wood Canon EOS C300 Mark II Model from Wooden Camera is a detailed wooden replica of the camera and even features metal threaded mounting holes on top and bottom. Enjoy it as a collector's item or a rich-looking designer accessory. Box Dimensions (LxWxH) 8.8 x 8.4 x 6.3"